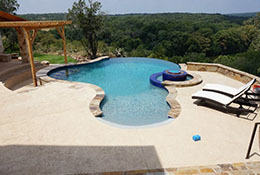 Design and build backyard retreats for families who recognize craftsmanship and the distinction of a truly custom swimming pool. 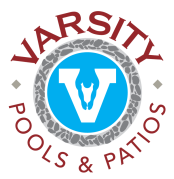 Varsity Pools & Patios has become the custom residential pool company of choice in the Central Texas area. 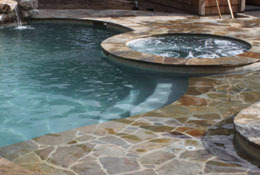 If you are looking to invest in a quality custom swimming pool or backyard retreat, that will stand the test of time and provide both sound financial and quality of life returns, then choose Varsity Swimming Pools. 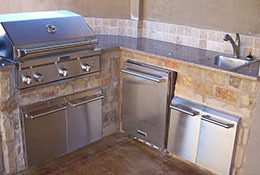 Call us today so we can show you why Varsity is the premier pool company in San Antonio and surrounding areas. 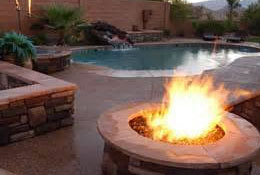 Schedule a no-obligation pool consultation today. Proudly Serving - San Antonio, Helotes, Bandera, Canyon Lake, San Marcos, Boerne, New Braunfels, Sequin, Schertz, Bulverde, Grey Forest, Fair Oaks, Dominion, Pipe Creek, Stone Oak, Alamo Heights, Terrell Hills, Leon Valley, Kerrville, Blanco, Wimberly, Marble Falls, Divine, Carrizo Springs, Floresville, Pleasanton and Castroville. There’s nothing like spending a cool Texas evening around the fire listening to the Mesquite pop with friends and family.